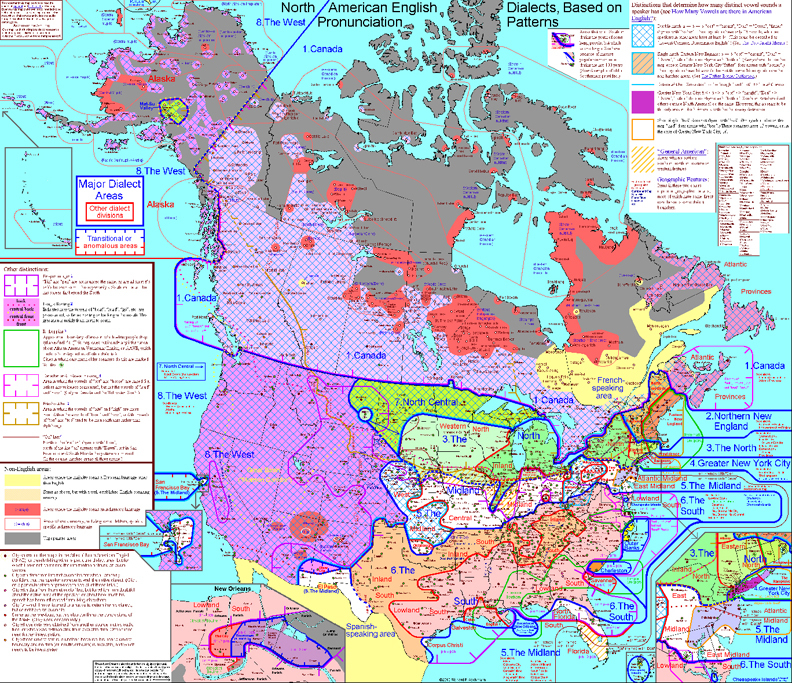 If you are fairly new to learning authentic, actable dialects, it can be very helpful to know a few terms before you head off to hire a dialect coach. Familiarity with common linguistics terms will make communicating with your coach easy, and it can help you to quickly get your bearings if you find yourself in the unhappy situation of having no access to a coach and thus being limited to working with commercial dialect acquisition CD’s. To get the most out of today’s lesson on vowels and consonants, you may find it valuable to glance back at this post explaining the difference between written and spoken language, and this post that elucidates the difference between voiced and unvoiced sounds of speech, and this post which will give you a good understanding of the body parts responsible for speech sounds. 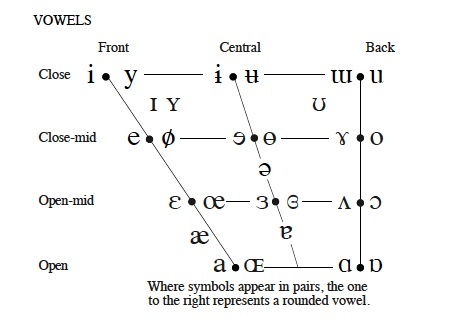 Today I want to share with you a few things about vowels and consonants—exactly what they are, how you can tell if a sound you’ve never heard before is a vowel or a consonant, and I’ll even a throw in a bit of acting theory related to these two groups of sounds. First, a basic definition: In the arena of spoken language, linguists consider a speech sound to be a vowel if it is comprised of an uninterrupted, unimpeded voiced stream of air. On the other hand, a speech sound is considered to be a consonant when that sound is a voiced or voiceless stream of air that is stopped, impeded, or interrupted in some way by the articulators. Vowel= unimpeded or uninterrupted voiced stream of air. Consonant = voiced (or unvoiced!) stream of air that is somehow interrupted, impeded or stopped. When you happen to speak a sound that has been classified as a vowel, you’ll find that you can do so without moving any of your articulators during the creation of the sound, and you’ll also notice that your articulators aren’t constricting your breath channel enough to cause audible friction. I want you to try a little experiment, but you’ll need to learn a tiny bit of the IPA (The International Phonetic Alphabet) to do so, so here is the International Phonetic Association‘s Vowel chart which shows all of the vowels that are used in the many languages on Earth. See? Vowels have a sort of static quality to them. Consonants on the other hand will involve some combination of articulators to be moving, or to be placed in such close proximity as to cause audible friction. Again, let’s start by looking at the upper left hand corner. See that lower-case P sort of symbol —>[p]? If you happen to speak General or Standard American English this is the unvoiced sound you’d speak in words like ‘promise, pepper, apt, sleepy and deep.’ If you’d like to hear this sound pronounced, Paul Meier can help you out here. Experiment time again: I’d like you to try pronouncing this sound and sustaining it like you did earlier with [i]… Go ahead… Give it a whirl… Try to chant like a monk using a [p] sound…Can’t do it, can you? Me neither. It’s just not possible. The speech sound [p] can’t be sustained because it is a sound that is ‘stopped’ ‘impeded’ or ‘interrupted.’ Say [p] a few more times. (You might find that you end up adding a voiced ‘uh’ kind of sound right after it out of habit. Don’t worry too much about that right now.) Instead, send your mind’s eye to what’s happening with your lips… Say [p]… Can you say it without moving your lips? Nope. [p] is a consonant alright. A voiceless, stopped consonant that ends in a little mini-explosion of air. Pretty dynamic! One more experiment: Try to speak a sustained [s] sound. How long can you sustain it? As long as you have breath exhaling from your lungs, right? Try another sustained [s] sound and as you do, send your mind’s eye to your articulators… Notice how they don’t have to move once they are in position for the [s]? [s] happens to be an example of a voiceless, impeded (but not stopped!) consonant. As you say [s] two of your articulators (your tongue and your gum ridge) are in such close proximity that audible friction occurs. We can consider that friction to be dynamic. Many people assert that at the core of the matter, the informational content of a person’s spoken message is contained in the consonant sounds, while the emotional content of the message rides out on the vowel sounds. Knowing what you know now about vowels and consonants, why do you think that that many people have come to the conclusion above? Do you agree with this conclusion, and if so, how might you take advantage of this idea in your craft?